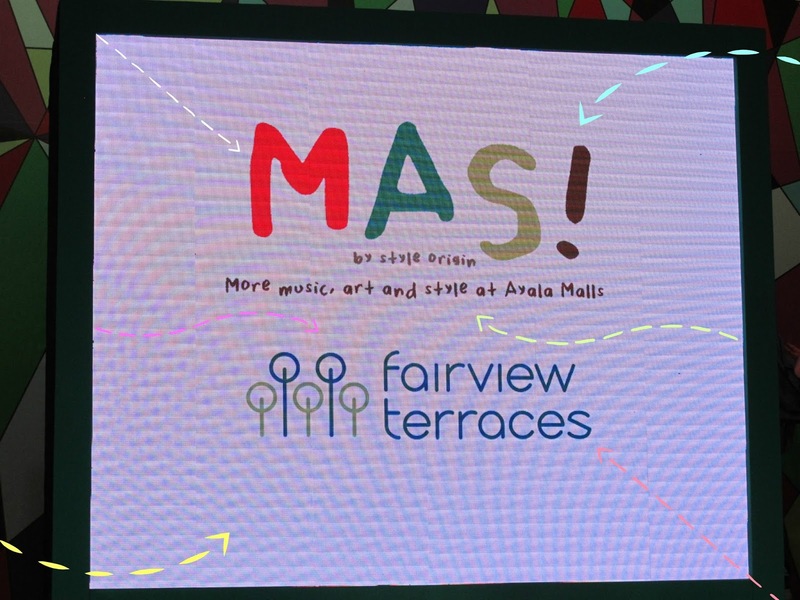 This year, Ayala Malls invites everyone to check out the latest and hottest trends from the brands they carry and along with this, they offer more MUSIC with performances from bands and singers, more ART with cool artworks displayed around the malls and More STYLE through a fashion show! With them, the festival season ain't over just yet! This will be happening in different Ayala Malls, so better watch out for it! As for me, I sure didn't miss it cos I was there to support my dearest blog friends! I was able to catch the first leg at Fairview Terraces last week! Usually waiting for the fashion show to start can be boring cos it takes awhile, but for Style Origin, I wasn't! All thanks to DJ Tom Taus! I loved his sick beats and amazing drumming! I enjoyed every minute of it and was quite sad when he ended his set! Spotted some of my favorite brands on the runway, like Skechers and Giordano! And then, came SuperDry and told myself, hey... I know those two!! Hello Ana and Pax!! Your biggest fan here! ^_^ hehe! Love you both! Awesome job! And then came Aeropostale and saw Pax walking down the runway again! And more blog friends came after! Cha Ocampo and Kerwin King for Penguin! :) A polo never looked so good! Joana Zandra for Wrangler! :) Look at that girl! Such a pro! :) Love the whole outfit! The mommy in me can't help but gush over Chicco and Gingersnaps! Too cute! The little girl with bangs reminds me of me as a child! >_< haha! Ida Anduyan, Andi Eigemann and Cha Ocampo for Mango! :) I covet the clothes from Mango lately and those flared pants are LOVE!! With the Fairview Terraces blogger crew! :) Amazing job to the bloggers/models!